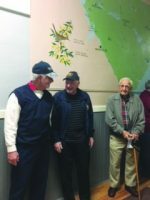 Veterans: Left Councilman Terry Merritt, Air Force; Dr. George Bomar, Navy; Former Mayor L.S. Green! 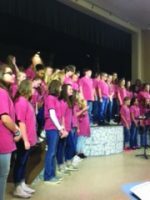 Ralph Chandler Middle School Chorus of 80 young people in 7 & 8th grades! Led by their Instructor, Holly Traynham-Hill! 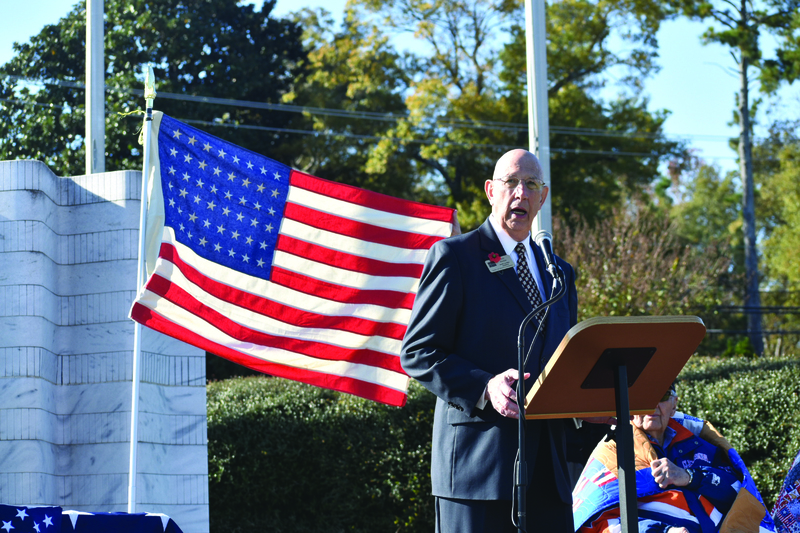 The people of Mauldin honored Veterans with our City of Mauldin Ceremony Monday, 11/12 at 11 am. 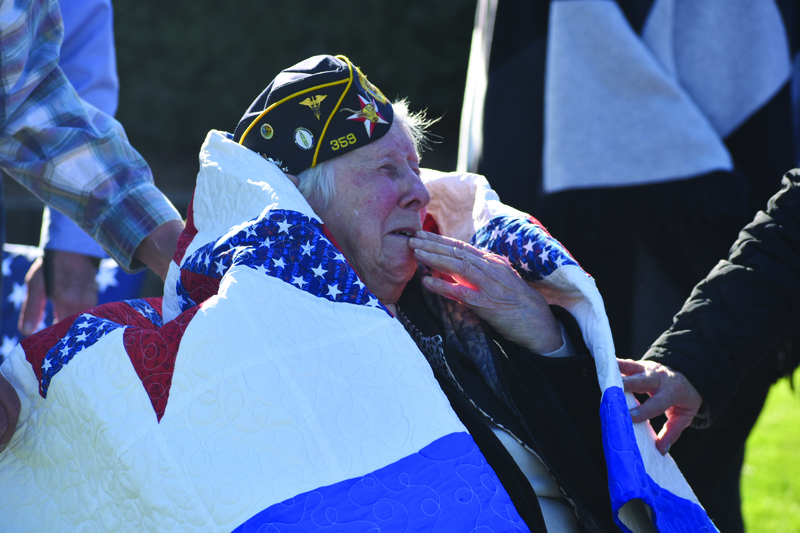 In spite of the weather, the warmth and respect shown to the Veterans was awesome! The Ceremony was moved inside to the Auditorium of the Mauldin Cultural Center. The Ralph Chandler Chorus provided several Patriotic musical selections; including the National Anthem. 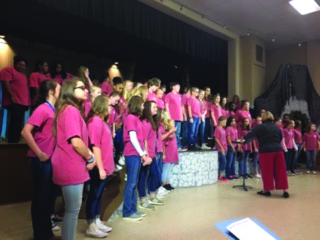 The chorus is directed by Holly Traynham Hill with Deborah Sorrells Plemens accompanying. These 80 Middle Schoolers made a special effort by saying “thank you” to each Veteran in the hallway following the Ceremony as they exited the auditorium. What a great lesson they experienced in meeting and greeting all the Veterans and what a blessing their greetings were for the Veterans! 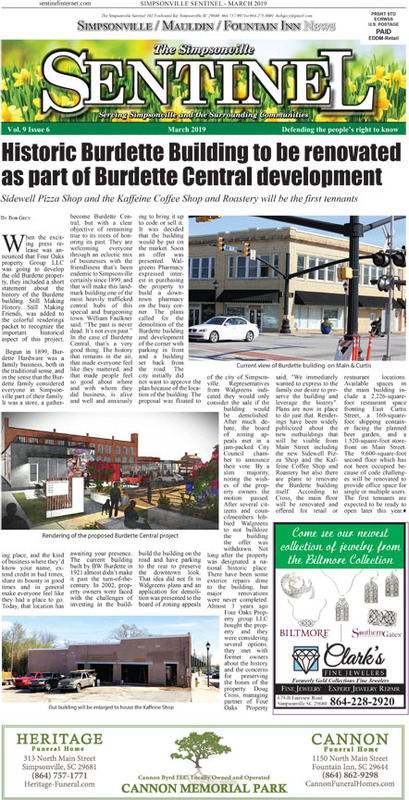 The local Greenville, Woodruff Road Home Depot Veterans Team shared amazing things they are doing nation-wide for Veterans. They have met and exceeded their goal to hire more Veterans! And Pastor Jeremy Bell, Marine Veteran of Afghanistan (and Senior Pastor at New Hope Church) shared thoughts and recognitions. 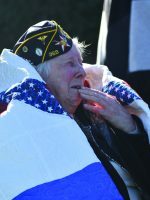 Naval Honor Guard led by Christina Potter presented flags. It was a pleasure to have Navy Veteran, Dr. George Bomar lead our prayer! 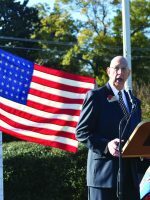 Thank you to Mauldin Councilman, Terry W. Merritt, Air Force Veteran who led the Pledge of Allegiance and Mauldin City Councilwoman, Carol Robinson King provided program introductions. What a special Ceremony for all! 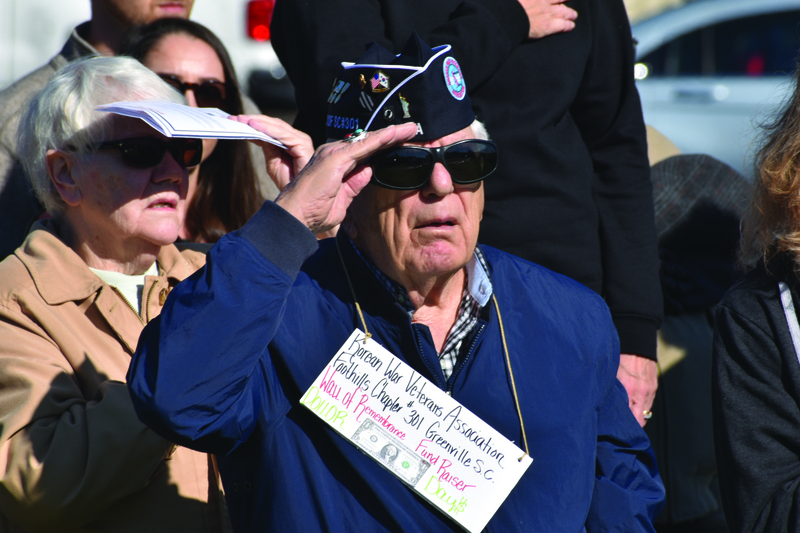 To honor the service and sacrifices of veterans, the City of Simpsonville hosted a Veteran’s Day Ceremony on Sunday at 2 p.m. at Veteran’s Corner. The keynote speaker for the event was retired U.S. Marine Gunnery Sergeant Kevin McBride. 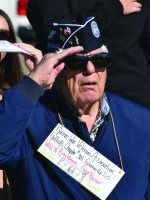 Mr. McBride is co-founder of the nonprofit veteran’s advocacy group, Upstate Warrior Solution, and the Director of the Military and Governmental Liaison Office for the Greenville Health System. 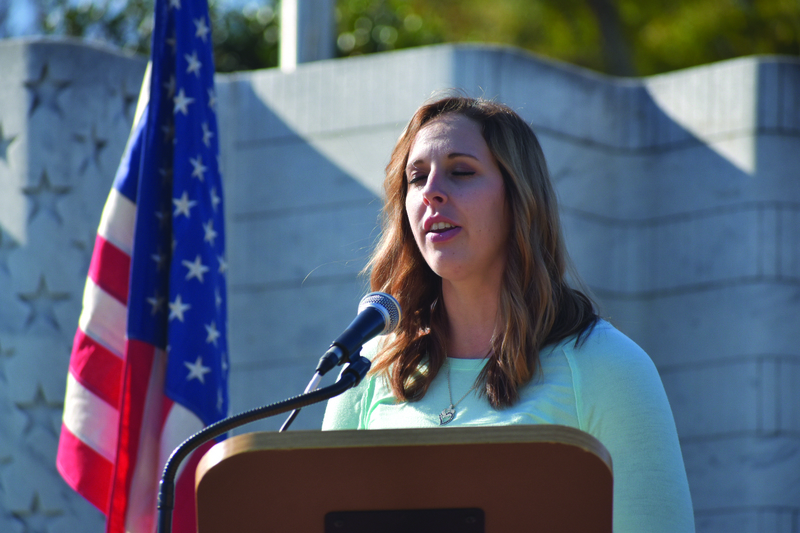 The Ceremony featured a rendition of the “National Anthem” by Miss Simpsonville 2019, Lauren Long. 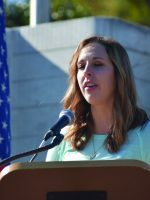 The invocation was given by U.S. Navy Commander Chaplain Pressley Stutts and Nicole Lorris shared her original patriotic poem with the gathering. 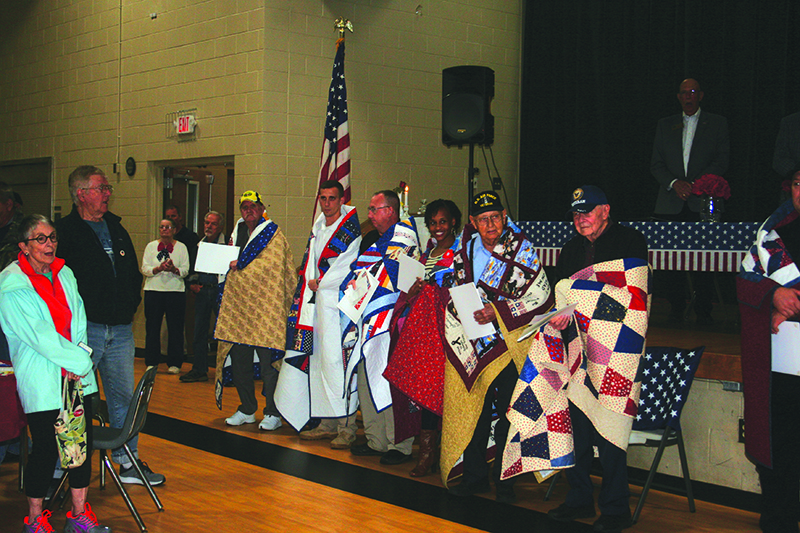 Quilts of Valor representatives then presented quilts to 9 veterans of the Simpsonville area. Fountain Inn annual Veteran’s Day celebration was held on Friday November 9 at 11 AM inside the Senior Center/gymnasium. 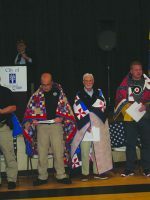 The guest speaker was Bob Scheer, a passed American Legion Commander. Patriotic music was performed by the famous Upstate Senior Band along with a demonstration by the Spartanburg sheriff’s department drill team. 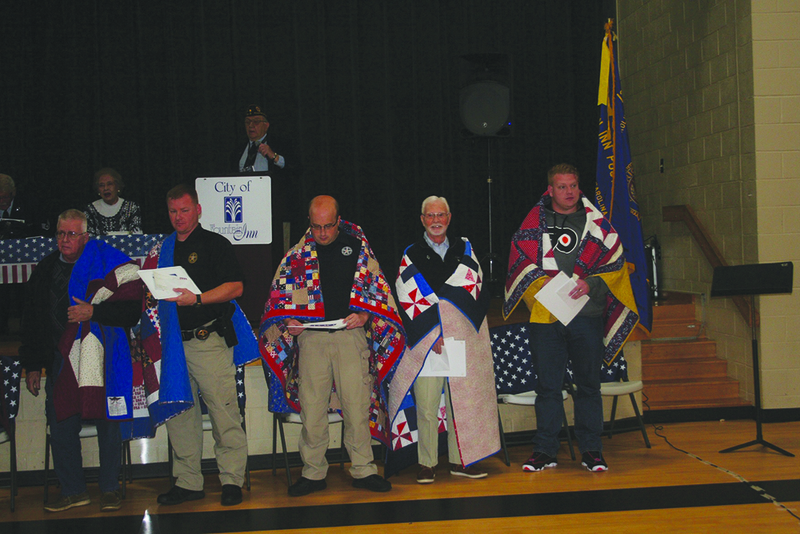 During the event, Quilts of Valor of the upstate awarded quilts to 9 members of the Fountain Inn Police Department who are also veterans. 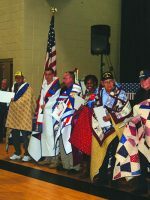 Three other local veterans we’re also recognized and awarded quilts for their service. All were treated to a barbecue lunch following the ceremony.